2 ply white mini centrefeed hand towel. 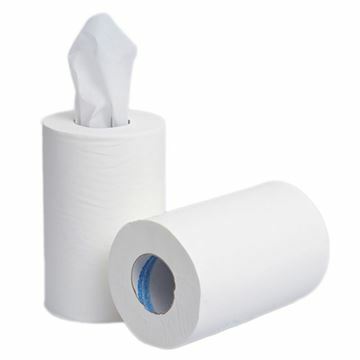 High quality 2ply white hand drying roll. High strength for effective drying. Approved for direct contact with food. A hygienic solution based on extremely absorbent mixed fibre paper for effective drying. 2 ply, white, flat sheets are fed out in the right size. Zero wastage with all the paper on the rolled used up. n extra soft, strong hand drying roll of the highest quality for effective drying. 2-Ply, white. Suitable for medium to high usage in more exclusive public environments. Approved for direct contact with food. Certified under the Nordic Swan Eco Label. Certified under the EU Flower Eco Label. Dermatologically tested and approved. 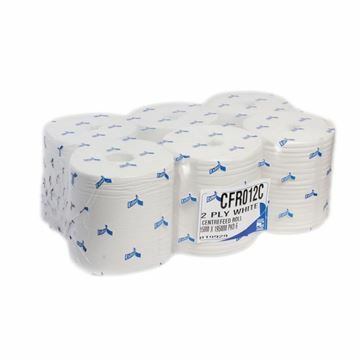 CFR012C 2ply white embossed coreless centrefeed. High quality interleaved (non stop) hand towels 2 ply, white. Self presenting towels, one sheet at a time which is hygienic and helps to reduce consumption. Suitable for medium to high traffic areas. An extra soft, strong hand drying roll of the highest quality for effective drying. 1-Ply, white. Suitable for medium to high usage in more exclusive public environments. 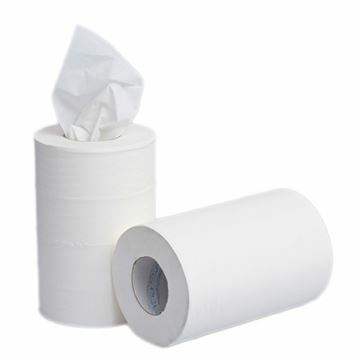 The roll is coreless, which simplifies the refilling of dispensers.